The debate around what Bitcoin is or what Bitcoin should be never seems to end. From 2010 when Satoshi Nakamoto begged Wikileaks to not use Bitcoin for donations to the debate over whether bitcoin use in darknet markets was good or not to the scaling debate that lasted from 2014–2017, debates about the utility of Bitcoin never seem to end. Is Bitcoin Digital Gold? Is Bitcoin PayPal 2.0? Is Bitcoin the one money to rule them all? Who are you to talk about this stuff anyway? And who cares, isn’t the market going to reveal people’s preferences over time? In this article, I seek to answer these questions and more by looking at how Bitcoin is currently used and project out a bit as to how Bitcoin will evolve in the future. Why do people want Bitcoin? Like anything in a market economy, the price of Bitcoin is entirely dependent on supply and demand. This may seem strange since money is used to price everything else, but there is a supply and demand for money. A money that’s abundant will tend to have less demand and a money that’s scarce will tend to have larger demand. We call a money that’s abundant easy money because it’s easy to add to the supply. We call a money that’s scarce hard money because it’s hard to add to the supply. The main reason why people value Bitcoin is because it is hard money. There’s an inborn instinct for humans to want scarce things and Bitcoin is limited in its supply by the 21 million cap. The 21 million cap has already lasted 9 years without changing and that makes Bitcoin’s scarcity easier to trust. The people that value Bitcoin’s scarcity are using Bitcoin as a store of value. That is, they are foregoing goods now for goods later. They are saving. Furthermore, Bitcoin is also hard to confiscate and is unique among assets in this regard. There really aren’t that many options that are provably scarce and are resistant to confiscation. Real estate stores value pretty well (as they say, land is scarce: they’re not making any more), but is easily confiscatable. Stocks and bonds are also good stores of value, but are also easily seized by governments. Bitcoin is really the only asset that has both proven scarcity and confiscation-resistance. That’s not to say that scarcity and the store of value uses are the only reasons that people want Bitcoin. There are people that want Bitcoin so they could buy something on the darknet markets or because they want to transfer some money to their relatives abroad. These are what I call method of payment use cases for Bitcoin. The method of payment use cases have one thing in common. The people involved want the convenience that Bitcoin provides them, but don’t care to hold the Bitcoin itself. People that use Bitcoin as a method of payment are concerned not about price, but about slippage, fees and volatility during the short window when they hold Bitcoin. For example, if someone wants to buy some LSD on the darknet markets, they first go and buy Bitcoin with their native currency (USD, say). Then they buy the product. The Bitcoin goes to the merchant, who then converts to their native currency (for simplicity, let’s say USD). Neither party holds Bitcoin for very long and neither cares about the Bitcoin price as long as the total fees (USD →BTC, BTC transfer, BTC →USD) are reasonable. Bitcoin could be $100 or $100,000, for the method of payment use case, the price doesn’t matter. Convenience is what matters. Conversely, method-of-payment demand does not actually increase demand much for Bitcoin as the amount bought is sold soon after. The only real benefits of having more method-of-payment utility are that Bitcoin can increase convenience in very special cases (foreign remittances, darknet) and Bitcoin’s liquidity can increase slightly as there are effectively more places to “sell” your Bitcoin, not for another currency, but for a good or service. For people that use Bitcoin for its scarcity, that is, as a store of value, price matters quite a bit. Talk to anyone who owns Bitcoin and price is something they keep track of obsessively. This is prima facie evidence that most people don’t use Bitcoin as a method of payment, but as a store of value. Why is it that people value Bitcoin as a store of value so much more than as a method of payment? Looking at the payment landscape, the answer should be clear. Consumers have many choices for method of payment already. Cash, Credit Cards, Debit Cards, Paypal, Venmo, Square Cash, Google Wallet, Apple Pay, Samsung Pay and even the good old bank check are among the many choices in the US for method of payment. WeChat in China, M-Pesa in Kenya and the Octapus Card in Hong Kong are even more convenient. All these payment methods are much more convenient than Bitcoin for nearly every type of transaction (restaurants, brick and mortar stores, e-commerce, etc). For method of payment, convenience is paramount and that means merchant acceptance. Merchants don’t want to keep Bitcoin (that is, use it as a store of value) which hinders its use as a method of payment. There are people that argue that a merchant can save on the 2–3% vs a credit card, but fail to realize the same merchant now has to convert these Bitcoins to USD and probably will have to pay in exchange fees and slippage in order to do so. At least the credit card fees are certain. The uncertainty around how much in fees that they’ll pay due to exchanging to USD is then passed onto the customer in the form of higher prices and/or worse rates for BTC/USD than spot. In other words, using Bitcoin as a method of payment is not a very good deal for the customer to use Bitcoin and so they don’t. Accepting Bitcoin doesn’t generally boost merchants’ bottom lines very much. This is because merchants don’t really want Bitcoin. Merchants view Bitcoin as a way to increase sales and thus convert any Bitcoin received immediately to their native currency. At best, this causes selling pressure for Bitcoin as there’s more supply to be sold. Even if the spender of Bitcoin buys back that Bitcoin on the market, what they’ve actually done is use Bitcoin as a crappy credit card. There’s multiple transactions, more conversion fees and less consumer protections. In other words, it’s much less convenient and thus an inferior method of payment. 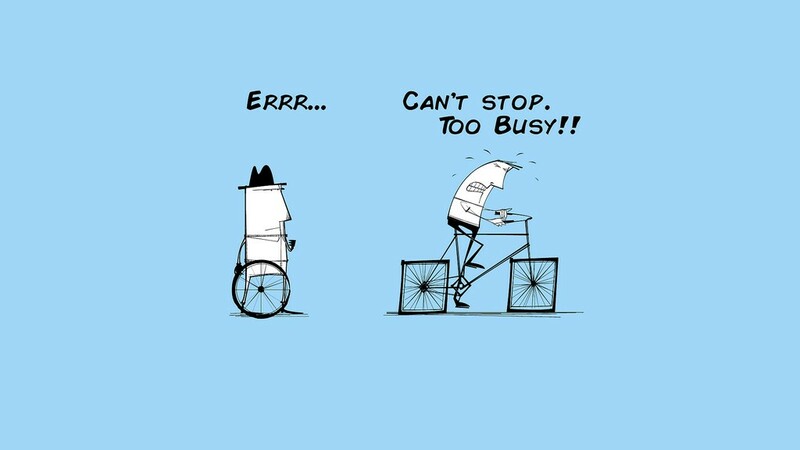 Trying to artificially create method-of-payment demand is putting the cart before the horse. First, the vast majority of people that hold Bitcoin aren’t looking to use it as a method of payment. 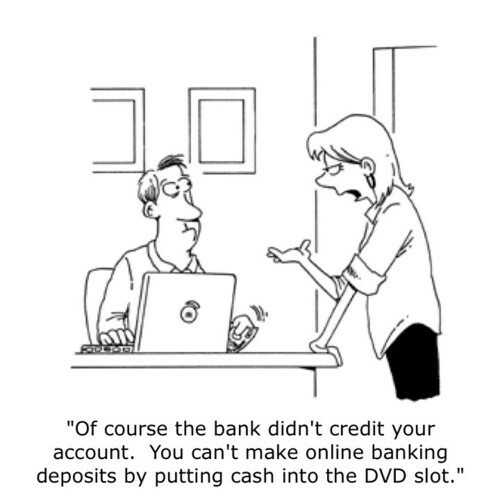 Holding cash in a bank and using a credit card is much more convenient for that. The people that value Bitcoin’s scarcity do so because they believe Bitcoin will go up long-term, so spending it now wouldn’t make much sense. Second, the merchants don’t want to keep the Bitcoin they receive and accepting Bitcoin as a method of payment is not magically going to make them want to. Much like giving a treadmill to an overweight relative isn’t magically going to get them to want to be fit, adding a Bitcoin payment option for a merchant that doesn’t value Bitcoin isn’t going to make them want it as a store of value. So how will Bitcoin evolve into a method of payment if ever? Or will it “just” be Digital Gold? This question is ironic since it’s posed by method-of-payment advocates to denigrate Bitcoin, but ignorant historically. People have used gold as a method of payment for thousands of years and not just as a store of value. From a monetary evolution standpoint, a few conditions have to be met before people start using a hard money as a method of payment in earnest. First, the merchant has to want the particular monetary medium as a store of value. Many, for marketing purposes say that they like Bitcoin, but few truly want to keep it. You can tell they don’t really want Bitcoin because they still accept other payment methods. Take for example black market merchants in Venezuela. Do they take Bolivars for their goods? Absolutely not. The Bolivar depreciates too fast so those merchants demand harder currency as a store of value. Second, the consumer has to desire the good or service so much that they’re willing to part with their precious Bitcoin. Savers have a low time preference and are thus good at resisting sales tactics. The actual good or service must be truly worthwhile for holders to part with their money. In other words, the merchant has to want Bitcoin as a store of value and produce higher quality goods to entice Bitcoin holders. At this point, merchants aren’t desperate enough for Bitcoin; they don’t even want to keep it when they get it. Furthermore, Bitcoin holders aren’t tempted by what merchants are selling and use fiat instead. Until this gap closes, there won’t be much Bitcoin flowing from holders to merchants, which is another way of saying that there won’t be much usage as a method of payment. Everyone in the Bitcoin community would like merchants to desire Bitcoin as a store of value. Increasing method of payment adoption, however, doesn’t change their desires. At best, this results in selling pressure on Bitcoin, lowering price. At worst, this results in misalignment of incentives, misallocation of resources and centralization. 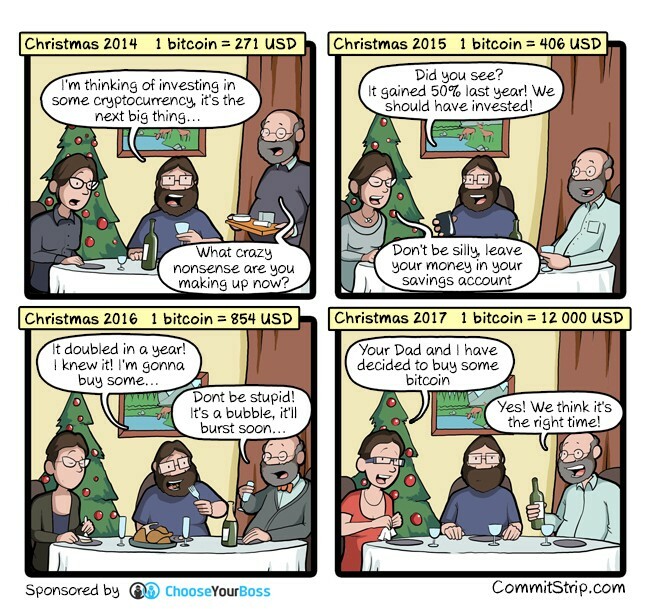 This is indeed what’s happened to BCH as they’ve tried to artificially create demand in the method of payment use case. Despite the millions spent on marketing, the billions spent on defending the peg against BTC and the time spent on centralized efforts to push the market toward the method of payment use case, BCH still has less transactions per day than DOGE. When paternalistic interventionists act on wishful thinking instead of letting the market play out, disaster looms. As of this writing BCH has fallen 80% from its all time high against BTC. The market continues to punish their centralized malinvestment and if they don’t learn their lessons soon, they’ll be relegated to the dustbins of monetary history. 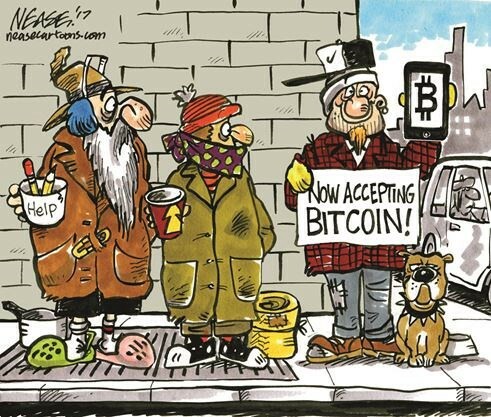 Most people value Bitcoin for its scarcity. Ergo, anything else is a nice-to-have, not a must have. Lots of options exist for method of payment, but very few for store of value and none that are as confiscation-resistant as Bitcoin is. As Bitcoin adoption grows, merchants will start demanding Bitcoin as a store of value in lieu of any other currency. This is already happening to a degree in places like Turkey, Iran and Venezuela. When a large part of society wants Bitcoin as a store of value, only then will the method of payment use case emerge en masse. Thanks to Vijay Boyapati and Michael Flaxman.